Chris Milner visits the Bahamas Locomotive Society base at Ingrow West to find out about a new visitor attraction – ‘Rail Story’ – which is set to transform the railway importance of the Keighley suburb. TO SUCCESSFULLY obtain money from the Heritage Lottery Fund (HLF) for a railway-related project, the proposal has to offer more than a locomotive or carriage restoration scheme. When the Bahamas Locomotive Society (BLS) embarked on its HLF application for funds to restore ‘Jubilee’ 4-6-0 No. 45596 Bahamas, the society’s John Hillier, together with others, foresaw a far wider scope to create an embracing project that has brought together a number of partners. It has morphed from the overhaul of just the locomotive to the creation of Rail Story, an exciting visitor attraction on the Keighley & Worth Valley Railway (KWVR). Bahamas has a place in the hearts of many enthusiasts, as it was the first of the class to be preserved, and was the very last steam loco to get any experimental and development work undertaken by BR (on the draughting and double chimney), which led to the launch of Steam’s Last Blast appeal in 2011. The loco was last on the main line in 1994 and many hanker for its return. 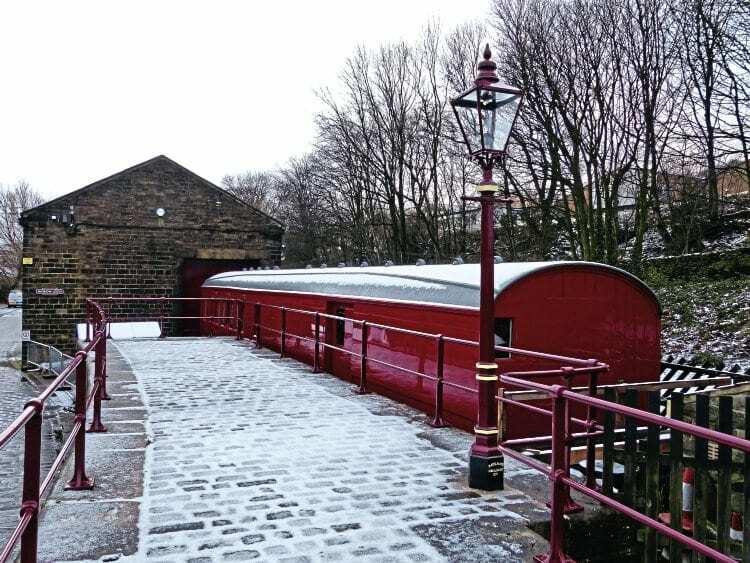 Prior to the HLF bid, the BLS had already developed a closer working relationship with the Vintage Carriages Trust (VCT), which like the BLS, is based at Ingrow West on the Keighley & Worth Valley Railway, the branch line serving Brontë country. Both the VCT and BLS are long-term tenants of the Worth Valley Railway, and where both organisations have an extensive presence with accredited museums, displays and workshop facilities. The VCT offers the Museum of Rail Travel, where visitors can see beautifully restored carriages from a bygone era, while the BLS has its Ingrow Loco museum, with its own charm and fascination. Together, they want to develop a better and more inclusive heritage experience for the visitor, and the Ingrow site, which became Rail Story at Easter, is the result. To stand a better chance of getting the required funding for Bahamas, the BLS, which will celebrate its golden jubilee next year, prepared a very comprehensive bid for the HLF, comprising several lever arch files of drawings, costings and other necessary documentation. As John explained to me the process is lengthy and complex, with a number of stages to pass. In addition to the money for Bahamas’ restoration to main line condition once again, the bid also included an educational programme that would encompass junior schools to university graduates. This was the all-important second string to the bow that the HLF was keen to see from applicants. In short, you would have a locomotive that would travel around the country and be seen by thousands, while at Ingrow, there would be an educational centre – a carriage dubbed the Learning Coach – aimed at encouraging students in science, technology and maths subjects. With HS2 and HS3 on the horizon, it was good timing and vision from the BLS. In October 2012, the BLS was awarded development funding from the HLF of £5,500, and this allowed the society to press ahead with plans for an application for funds for the first heavy overhaul of Bahamas since 1961 and the creation of the Learning Coach. The BLS realised that the provenance of its unique engine could be used for a wide range of learning opportunities. Just over six months later, in March 2013, the HLF confirmed a grant of £776,000 for the double-headed project, which was to cost £906k – the society raising the remainder. To the society it was a tremendous boost, and the project could get underway. Negotiations with leading locomotive restoration companies saw a contract signed with Tyseley Locomotive Works in October 2013 for the overhaul. It was a chance conversation with John during his visit to the archive of Mortons Media (The RM’s publisher) at Horncastle, Lincolnshire that the question of whether it was possible for the move to Tyseley to be via Horncastle was made. Sure enough, on November 26, 2013, the 4-6-0 spent the day outside The RM offices, attracting some great TV, radio and newspaper coverage for the project. 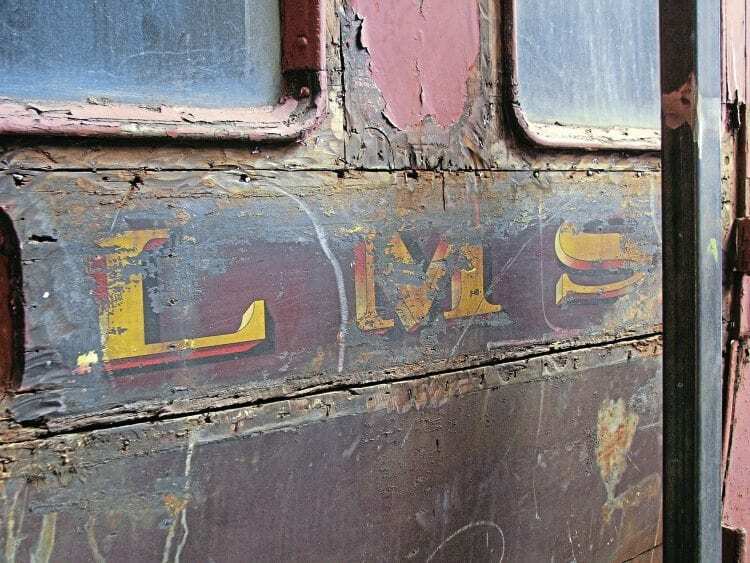 For the learning coach, former 1924 Wolverton-built LMS corridor composite coach No. 8761, later 3515 and latterly DM395470, was identified for the role. 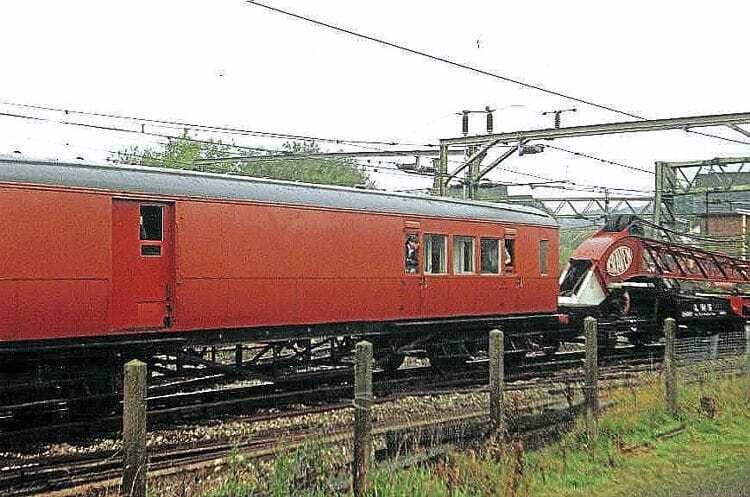 It was converted to a riding and tool van to work with a breakdown train and allocated to Southport in 1958. The conversion included the removal of the first class compartments, with the area then used for such things as tool stowage. This has proved to be a ready-made teaching/exhibition area – after many hours work by BLS volunteers! 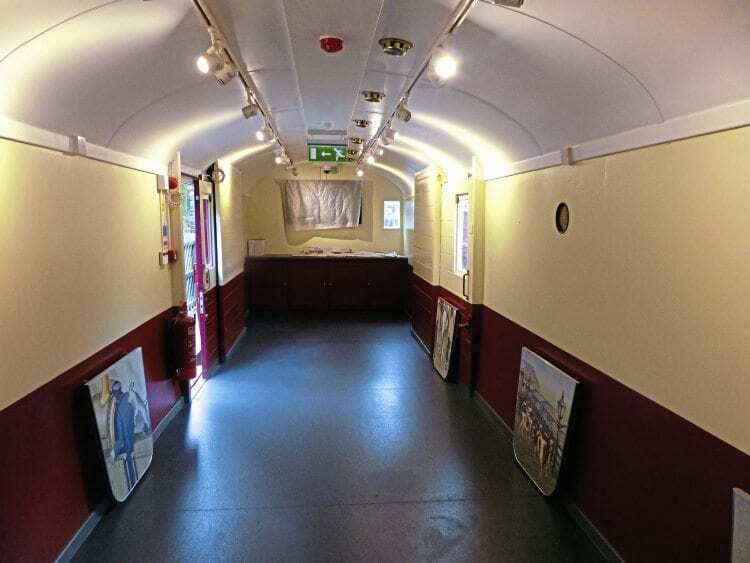 The coach had been stored for many years in the KWVR’s yard at Oakworth and was thought ideal, not only for use by schools, but also as a vehicle for exhibitions, displays and, in modern parlance, an interpretative centre too! In August 2013 the carriage was moved to Rail Restorations North East Ltd, Shildon, where it was externally overhauled and restored. On return to Ingrow in January 2014, and permanent positioning in the goods bay, society members set about creating an educational and learning facility that has now been almost completed. The classroom area is already in use. The three remaining compartments are being converted. One, the old kitchen, is now an office, an original third class one is being restored to its original passenger carrying splendour, while the remaining compartment will become the ‘history’ compartment. Here, a range of IT equipment, sponsored by the Mortons Media Group, is being provided for visitors to use. 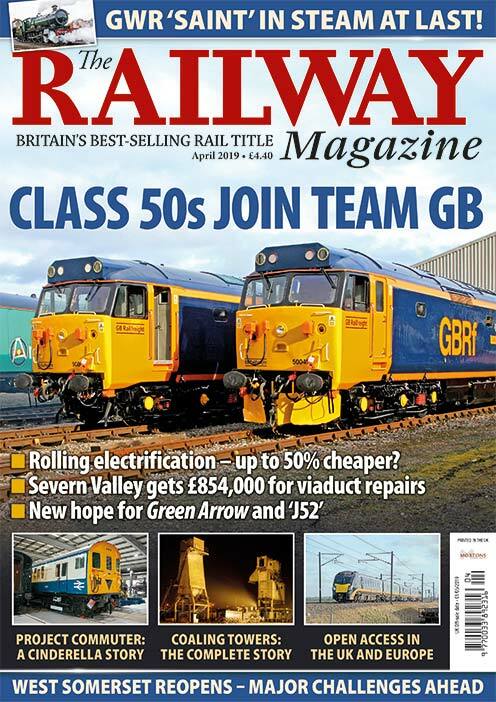 They will be able to carry out historical research on the internet, or even access the recently launched and ever expanding digital archive of back issues of The Railway Magazine. 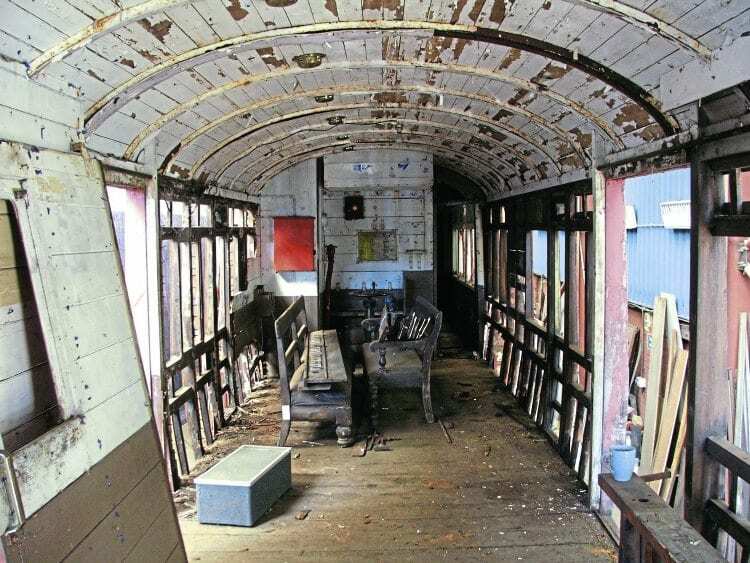 The remainder of the carriage (around two-thirds) acts as the classroom area for children and students. Complete with foldaway tables that have animal illustrations on, it provides a novel learning environment. A learning group of 30 children and six adults are the usual party size, with the party being split in half; one half use the classroom, while the other group visit ‘Ingrow Loco’ and the VCT museum, before swapping over. 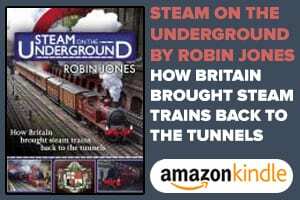 However, its use is not limited to school groups as, with access from the platform at Ingrow West station, it will host a series of displays, ranging from the coach’s history, and that of Bahamas’, to the history of Ingrow village and its station. A time line covering the development of the UK’s railway preservation movement could also appear eventually, and the possibility of holding workshops designed for railway photographers is being considered. The Learning Coach will also be available for other interest groups and already hosts some mutual improvement classes, once common-place for training railwaymen in steam days and carrying on an old Dinting tradition, the original Derbyshire home of the BLS. What readers may not appreciate is the level and depth of restoration needed to create this purpose-built educational centre, but a society video (https://www.youtube.com/watch?v=qKaVpJ4Hqrc) shows its been no easy ride for the BLS volunteers. co-ordinator (ADC) whose responsibilities would include establishing both formal and informal learning programmes, building relationships with new partners and user groups, and marketing the heritage activities. After interviews, the society recruited Debbie Cross, who works on the key areas, as well as overseeing an increasing number of visits, and learning programmes to all of the museums on the Ingrow site and to the KWVR as a whole from Yorkshire, Lancashire and further afield. Her murder mystery series has already proved successful and there is now a programme of family events linked to Ingrow and the railway. 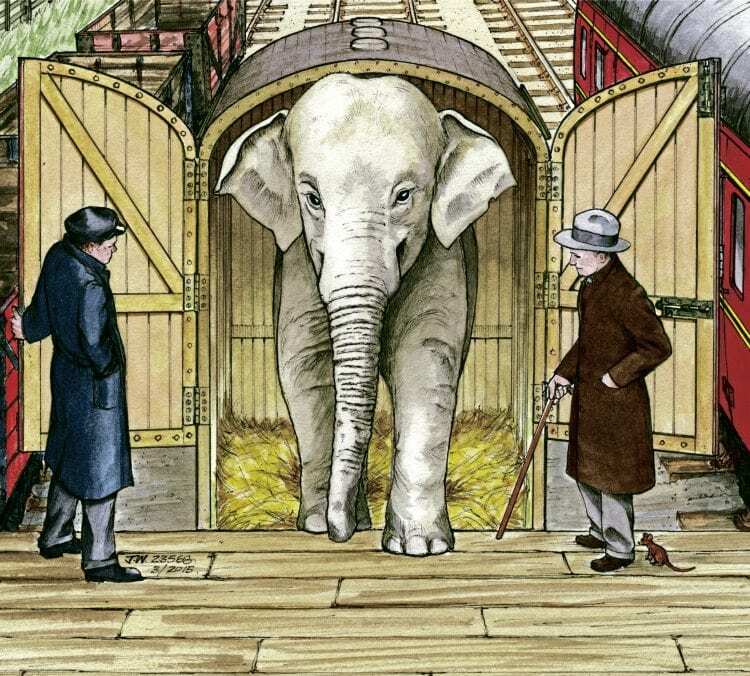 Obviously – but not solely – aimed at children, the learning coach has included the connection of animals and railway, ranging from cattle that were once transported by rail to horse-drawn tramways or horse shunting, and circuses that were moved by rail through to station cats (or dogs). However, it’s not all educational and aimed at children. As part of the development of Rail Story, the BLS building has been renamed the Engine Shed, while the VCT building has become The Carriage Works. Ingrow’s railway museums – and indeed a ride over the five-mile branch line – are an additional attraction for people visiting the area, with BLS visitors increasing by a staggering 86% last year, while VCT recorded a very healthy 21% increase. Holders of KWVR rover tickets get free admission to Rail Story and for other visitors a joint ticket gives reduced price admission. It helps that Rail Story is open (11.00-16.00) even when KWVR trains are not running. The BLS, VCT and Worth Valley Railway also recognise that visitors need to spend longer (and more money) at the Ingrow site as well as being able to learn about railways and rail travel, and with this in mind there are big plans ahead. Aware that the site lacks any catering, a new amenities block is envisaged that will house refreshment facilities, public visitor toilets, ticket office, and shops. New facilities for servicing steam locos at the northern end of the KWVR are anticipated, including building a much-needed inspection pit at Ingrow with appropriate facilities for the transfer of locos between road and rail. One of the animal paintings that are imprinted on the carriage’s work tables. This artwork was specially produced by John Wardle. An area for special events exists suitable for family events to commercial or corporate events, with options for evening hire. 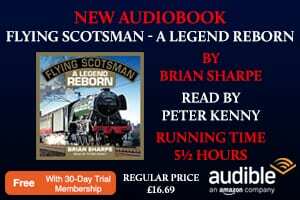 To facilitate the longer opening of the Engine Shed the BLS has recruited two duty officers plus people to work with the ADC to deliver the wide range of educational programmes now being offered by the KWVR. The ADC’s work is being funded jointly by the BLS/HLF, VCT and the KWVR, evidence of the excellent partnership that now exists between the three organisations. Given the relationship that the BLS has with the National Trust, which owns the LNWR Coal Tank, and in BLS custody since 1973, closer links have also been made with East Riddlesden Hall, the trust’s nearby property, and NT members now have free admission to the Engine Shed at Ingrow. The Rail Story development will span many years, the aim being that by 2025 work will be complete and all will be ready to celebrate the bicentenary of railways. In addition to the partners at Ingrow, Helen Ashby, former head of knowledge and collections at the National Railway Museum, along with Anthony Coulls, senior curator rail transport and technology at the NRM, are acting as museum mentors for the BLS and VCT respectively. 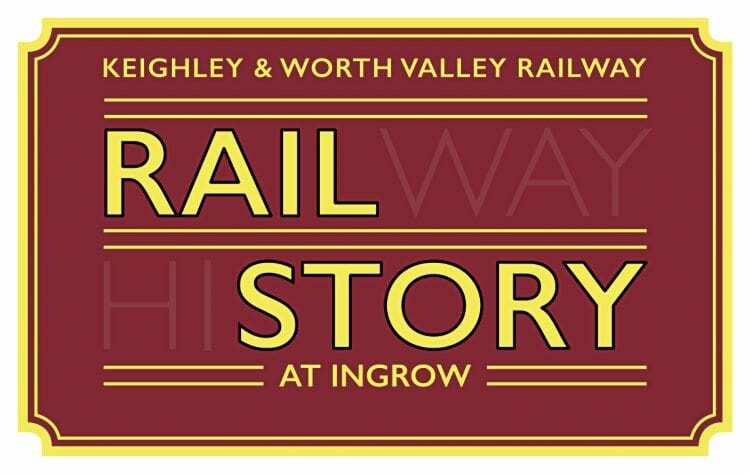 With exciting times ahead for the Keighley & Worth Valley Railway, BLS and VCT, it is appropriate that railway chairman Dr Matt Stroh has the final word on the project: “We are excited about the prospect of working with our partners to create a very special visitor attraction at Ingrow, telling the Rail Story. It can only be told when we are able to blend an operational heritage railway and the quality of exhibits that VCT and BLS offer. Previous Post:Lines under threat – Will the ‘Flyer’ be Grounded?